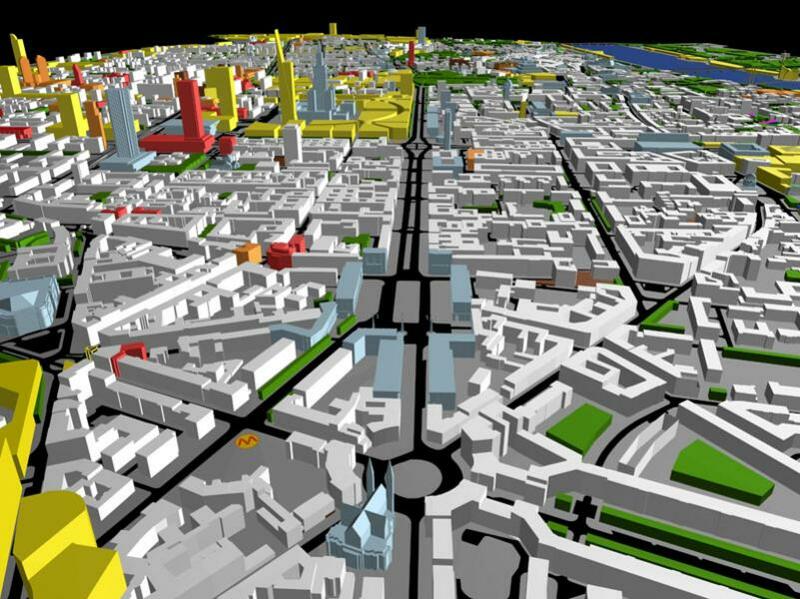 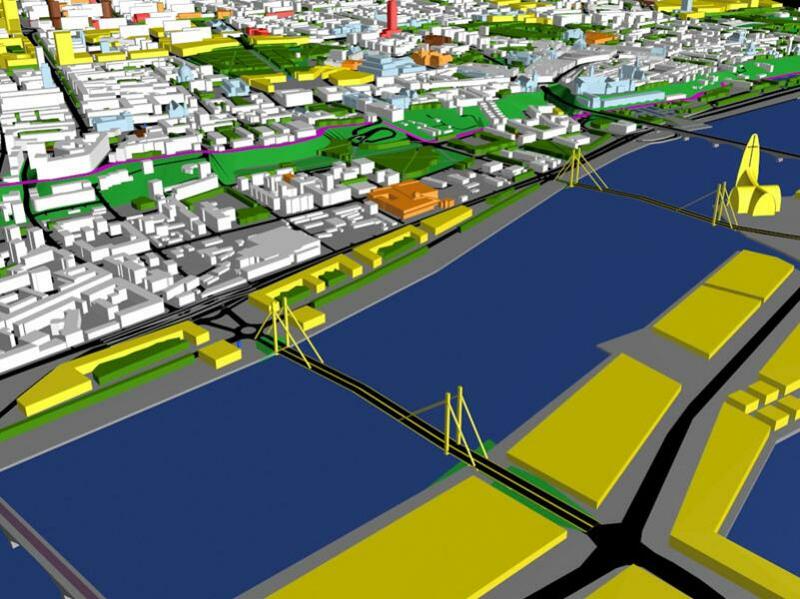 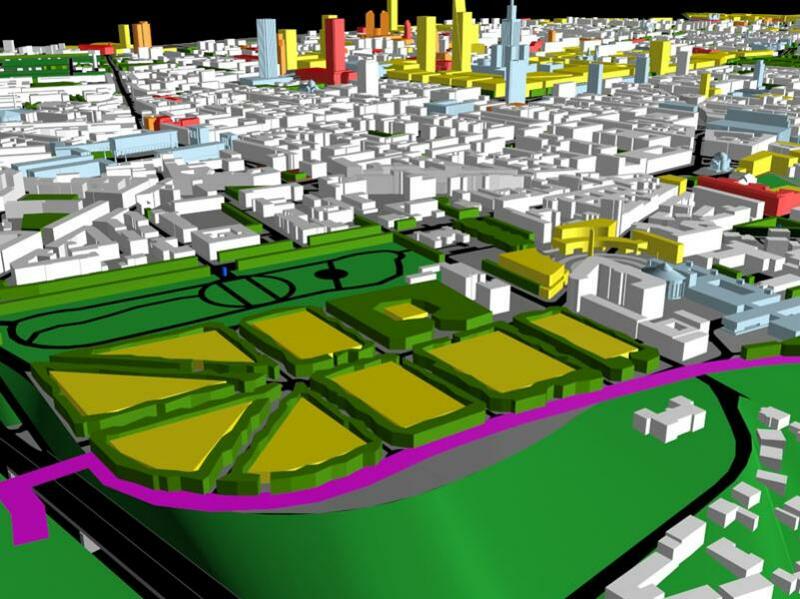 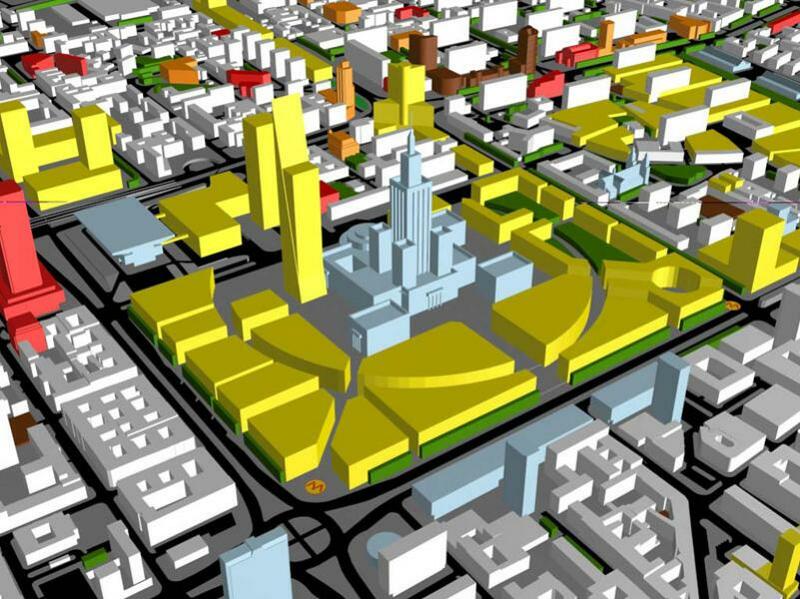 Project for the development of Warsaw's city centre within the downtown ring road, which was designed in 1996. 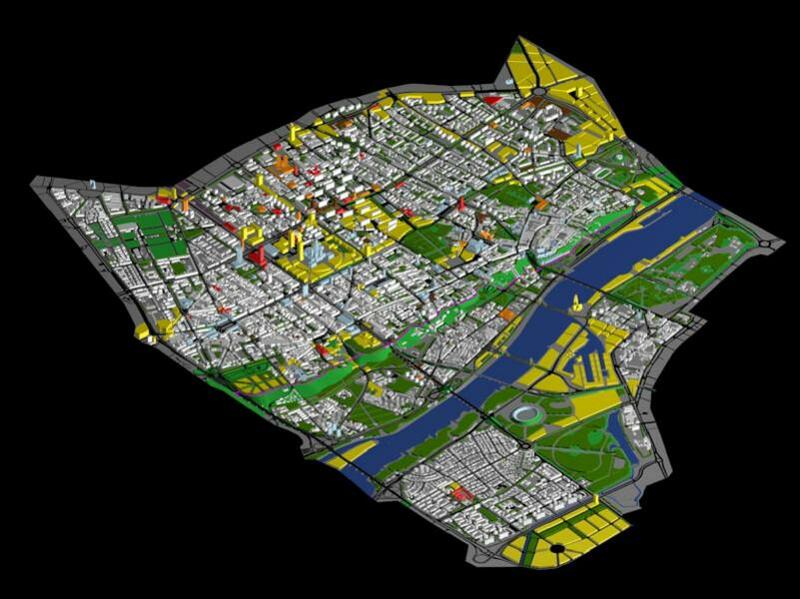 This project utilizes a three-dimensional computer program that creates a complete model through the fusion of various design concepts and winning projects from a range of architectonic competitions in which Czesław Bielecki and the DiM'84 company participated in. 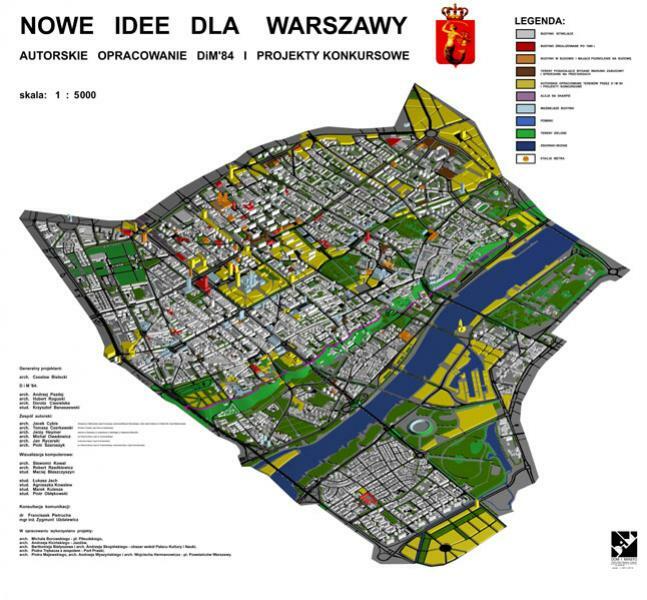 The project was presented during the celebrations of the commemoration of the 400 years of Warsaw as the capital of Poland at the Sheraton Hotel on the 22 June 1996 and at the Warsaw Downtown Local Council session on 11 July 1996.
connecting the new apartment blocks & service complexes with parks. 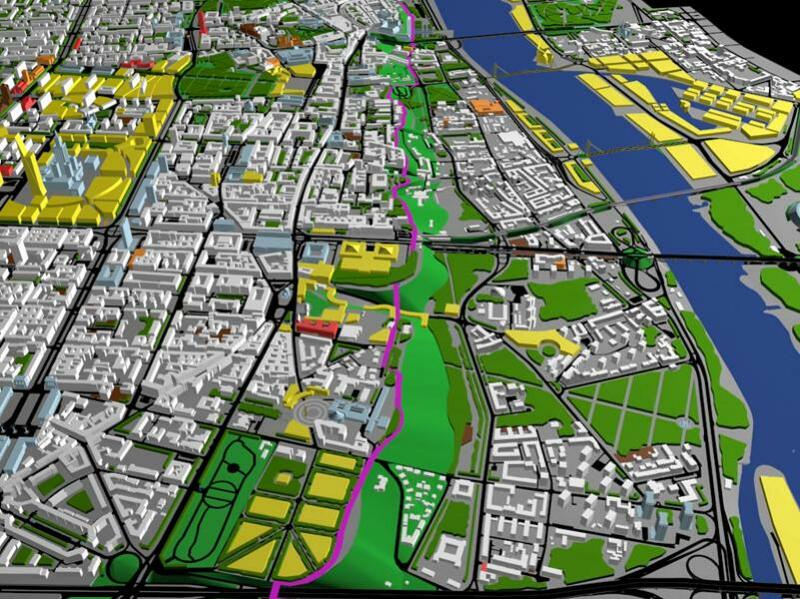 This specially concerns four zones with such big investment: Palace of Culture and Marszałkowska Street; Gdański Railway Station and New Powązki; Nowy Kamionek; Praga Port and Szczecin Riverside.